What's next for digital in pharma? 29 June 2007 was a momentous day for the world – it was the day the first iPhone was released to a rapturous public. It marked the start of a new beginning where digital technologies would infiltrate virtually every aspect of life. Healthcare and pharma have been no exception – indeed, digital technology, from artificial intelligence and wearables to augmented reality and blockchain, is seen to have tremendous transformational potential in a sector often viewed as clunky and conservative. And the cogs are slowly turning. Already there is increasing convergence of consumer and medical technologies where a new generation of consumer devices, registered as medical devices, can monitor any number of biomarkers. In 2016, $4.2 billion was invested in digital health; more than double the figure invested in 2015, according to venture fund Rock Health. For the industry, it has been slow-going as it tiptoes around regulations and attempts to understand the intricacies of digital. But, according to Duncan Arbour, SVP innovation at Syneos Health Communications, pharma’s progress in the space is accelerating. “Even ten years ago, it seemed as if many of the teams looking after digital were still learning and for better or worse being led in many ways by their agencies – now it’s far more of a proper partnership, quality’s higher, innovation’s higher and results are better.” In fact, he believes that in terms of digital, particularly in marketing, the industry is “coming of age”. In recent years there has been a flurry of activity within the industry as many companies ramp up their adoption of digital technologies. 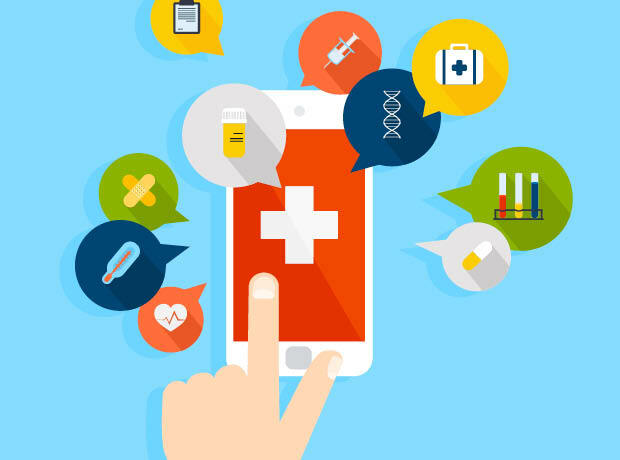 Both Novartis and GlaxoSmithKline have created chief digital officer roles; Merck has partnered with Amazon to explore voice-enabled technologies for diabetes patients through Amazon’s digital personal assistant Alexa; Roche acquired the Austrian start-up mySugr, which has a successful diabetes management app that is now part of Roche’s new patient-centred digital health services platform in diabetes care; Teva snapped up Gecko Health Innovations to get its hands on a digitally connected smart inhaler; and numerous companies are tapping into supercomputers and machine learning systems to improve the chances of finding new drug candidates. According to the Pistoia Alliance, 44 percent of the pharma industry is already using or experimenting with artificial intelligence across drug discovery. The science fiction around digital tech is even making it to the market. In 2015, the US Food and Drug Administration approved the first 3D printed pill; with 3D bioprinting firm Organovo expected to seek FDA approval for 3D printed human tissue as early as 2019. Meanwhile, Otsuka Pharmaceuticals was successful in getting the thumbs up last year for the first pill with a digital ingestion tracking system (read more on p26 – ed). He points specifically to GSK in its innovative approach to social media, which involves engaging directly with patients but also listening to them and analysing posts. This listening behaviour led GSK to quickly identify a misprinting issue with a syringe and, as a result, was able to quickly resolve the issue. Similarly, the firm is identifying abuse of its medicines through social media listening, which will feed into investigations in how to prevent such situations, Terkowitz says. So, what’s next for pharma? Firstly, the industry needs to take stock of what is on the horizon and how that might be applied to the sector. According to a recent Syneos Health report, artificial intelligence (AI) should definitely be on pharma’s radar, particularly supercomputers diagnosing diseases (already big moves have been made in the radiology and imaging space), as well as AI-supported messaging apps and chatbots for patient support. Meanwhile, technology could match patients to clinical trials at the point of care, virtual reality could be developed as a new non-drug treatment option, digitally connected nanotechnology could transform drug delivery and diagnosis, and blockchain – the technology behind the digital currency bitcoin – could revolutionise research and the secure sharing of health data. For other observers, pharma’s next steps are about tapping into the approaches that non-pharma companies are taking. The Medical Futurist, Dr Bertalan Mesko, wrote in a blog post stating that pharma’s traditional ways of motivating patients and healthcare professionals were “obsolete” and called for greater use of gamification to engage these stakeholders, pointing to the 2016 craze Pokémon Go as a case in point. This mobile phone augmented reality game involved thousands of people chasing virtual monsters through their phone while being out and about in the real world. “It got people off the couch and outside, moving. Taking the literal first steps toward a healthier lifestyle,” Mesko writes. Krohn also emphasises this, noting the growing trend of non-health companies having an impact on the healthcare space. Apple is one with its eye on health records and health data; ride-hailing firm Uber is another, he says, which is launching a programme that brings transportation to patients to remove that as a barrier of accessing care. Joe Jimenez, the now former chief executive of Novartis, said in an interview with the Financial Times last year that there was a concern these digital start-ups would move in and take over pharma’s traditional relationship with physicians and patients, as well as snapping up all the health data, but he believed pharma still had a role to play. “I do believe that large pharma companies have an advantage, not on the agility side but definitely on what they know about disease states, about patients, about the entire healthcare system, and many of the start-ups don’t have that experience.” He added that these tech firms will become either competitors or partners. Importantly, this should lead to a future grounded in patient-centricity, where the patient is empowered and an active partner in their healthcare, whether that is being matched to clinical trials online or through digitally connected patient-support programs. While digital can sometimes still be an island within some organisations, Arbour hopes there is now a shift away from that. “Hopefully the example being set by companies like Novartis and GSK in bringing in high profile chief digital officers from consumer and retail businesses will inspire others to follow suit and, where digital is still at the margins, bring it closer to the heart”.